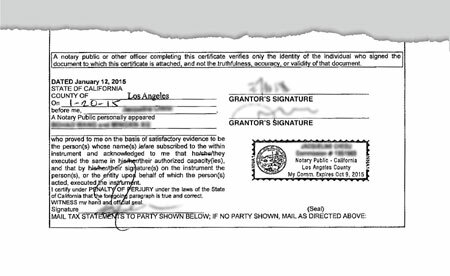 County recorders in California are taking seriously the new law requiring notarial certificates to contain a consumer notice, and even technical mistakes are cause for rejection. This was illustrated recently when officials with the Los Angeles County Recorder’s office reported receiving documents with the new wording in the wrong location — and those documents will be rejected. As of January 1, all California acknowledgments, jurats and proofs of execution are required to include the consumer notice, which must be in a box located before the venue. The documents in question were prepared by a major national title company. While they included the consumer notice and put it in a box, it was placed before the date and signatures on the grant deeds. The venue, which included the words “State of California, County of Los Angeles” appeared below the date, with the signature lines of the grantors to the right. In a recent online NNA survey of California Notaries, a majority of respondents said they have encountered documents with incorrect wording. The simplest way to fix any compliance issues is to use a loose certificate, Anderson said. Simply draw a diagonal line through the incorrect wording and write, “See attached certificate.” Then complete the loose certificate and staple it to the document. The NNA currently is surveying California recorders offices to find out what other issues they are seeing with the new certificate wording. NNA members can download updated California certificates for free online, and non-members can purchase compliant California certificates through the NNA as well. NNA members may download updated certificates for free online as a membership benefit. Non-members can access compliant California certificates. 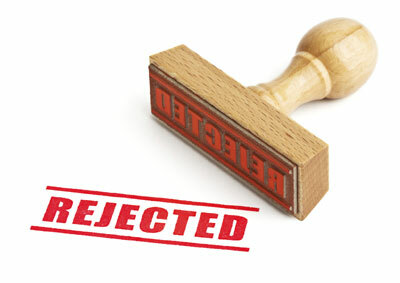 I have had several deeds of trust rejected recently for recording due to the above issue. However, everything recorded for the first 30 days. The borrowers signature lines are in the same place they have always been. The only rule I have been able to find about the new wording is that it must be in a box above the venue. It says nothing about borrowers signatures needing to be moved above the box. Is this a rule or are the county recorders making this decision on their own? Very frustrating! Rhonda, Thanks for your comment. The new law didn't say anything about the placement of the signature lines. The issue is not that the signature lines weren't in the proper place before. It's just that with the new law change, the old way of formatting deeds with the signature lines over on the right side opposite the acknowledgment is now considered to be out of compliance. If you notice the consumer notice with the box spans the entire width of the page. Anything below that is not expressly part of the acknowledgment certificate is out of place. Also, recorders are now more firm about rejecting documents without compliant notarial certificates whereas perhaps earlier in the year they were more lenient. We had one rejected because the print wasn't dark enough. ?!? Anyone else experience this?